Welcome to Vegan Chick’s Blogtober, Post 6! So, I’m looking to start freelance writing to pay the bills while I’m building my own blog and social media. I’ve talked about it in past posts, but probably not as seriously I am now. … I mean, it helps that it was being offered for $7 at the time, but you know. Hmmm… ok. This may be something worth checking out. The whole video covers the concept of stoicism. Now, when the average person hears the word “stoicism”, they most likely think of “mental toughness”… maybe even emotionless. The endurance of pain or hardship without a display of feelings and without complaint. Now, personally, I don’t know too much about this school of philosophy. I need to do more research on it. But, since I’m in several groups of Boss Babes (and Boss Bros) like myself ;), I think this is some valuable information to pass on. So, I’ll let Tim explain it from here… take a watch. Note: If you don’t have time to watch the full video, I’ll give you a rundown below. But of course, I’m not an expert, so I recommend that you save the vid for later and come back to it. The exercise is called Premeditatio Malorum (Premeditation of Evils). Now, I can’t quite tell exactly who originated the exercise, but Tim was introduced to it by Seneca the Younger. In essence, you create a visual of worst case scenarios so you can prepare for the negative outcomes. Obviously, this can get pretty overwhelming for people with anxious tendencies, or “monkey mind”, as Tim refers to it. Define- write down 10-20 of the worst-case scenarios you can imagine will happen if you do said thing. Prevent- what can you do to prevent all of these worst-case scenarios, or at least decrease the chances of them happening? (Write one for each of the problems you listed). Repair- if you can’t prevent these scenarios, how can you repair them or reduce the amount of damage (every little bit counts)? Again, write one for each of the scenarios/preventions you’ve listed. (Remember, it’s ok to ask for help). What benefits might you get from attempting or being even partially successful? Tim recommends spending 10-15 minutes on each page. Again, you’ll want to revisit the video for exact instructions and examples on how to do this exercise, but these are the basics of what you need to know. I don’t know about you, but I will definitely be trying this exercise. As ambitious people, most of us are told to stay away from “stinking thinking”. But Tim Ferriss (and Seneca) recommend diving deeper into it. Sort of a rip-off-the-bandaid and prepare-for-possible-infection approach. And I gotta tell ya, I think they’re onto something. 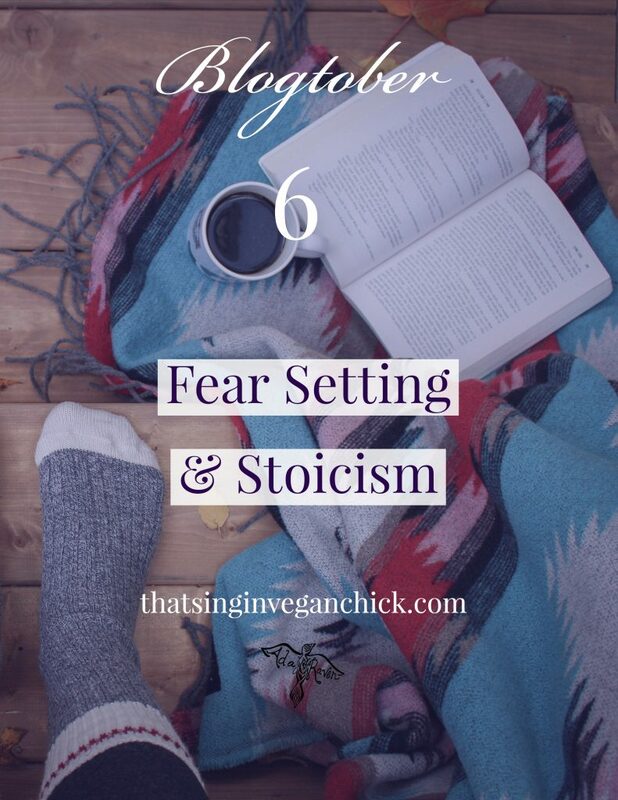 Stoicism may not be the house you want to live in your entire life, but it can’t hurt to stay there for a night or two. Especially to get a healthy understanding of your fears and if they’re founded or not. What do you think? 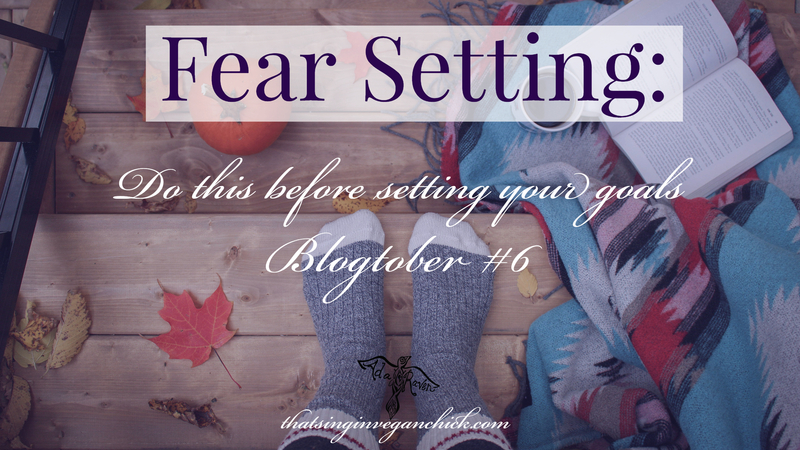 Would you be willing to try some fear setting before making your next vision board?